Today we’re going to cover how you can improve inrush current protection for your equipment, machinery or system using NTC and PTC thermistors. Inrush current affects a wide range of products. It becomes further complicated by systems that switch on and off quickly, such as welding equipment and HVAC systems. This post will give you a brief overview of the topic. For more information, you can read the full article here. Inrush current describes a spike in current that occurs when equipment is powered on. If the spike in current is allowed to pass through the system it can reduce the effective operating life of equipment and potentially damage the system (see below). Fortunately, NTC and PTC limiting can properly manage this. 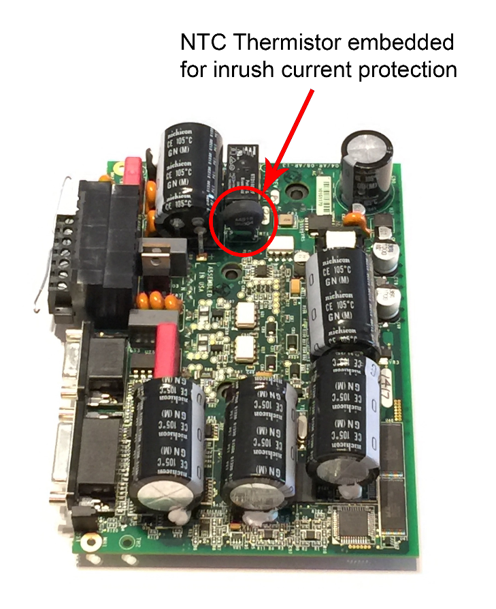 An uncontrolled flow of inrush current can damage the diode bridge and link capacitor, disabling the conversion of AC to DC current. This can lead to system failure. NTC thermistors are the most commonly used thermistor. 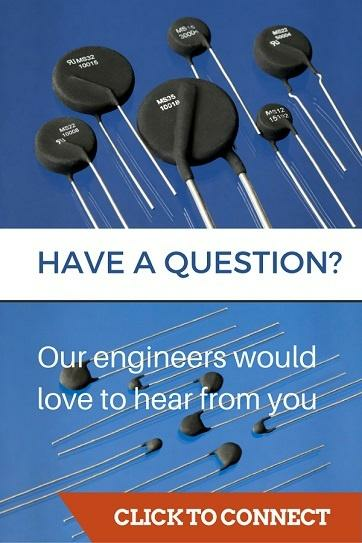 They fit a wide range of applications including: automotive, military, industrial, and emissions controls.Various items around your home contain NTC thermistors including your oven, air conditioning, and fire detector. 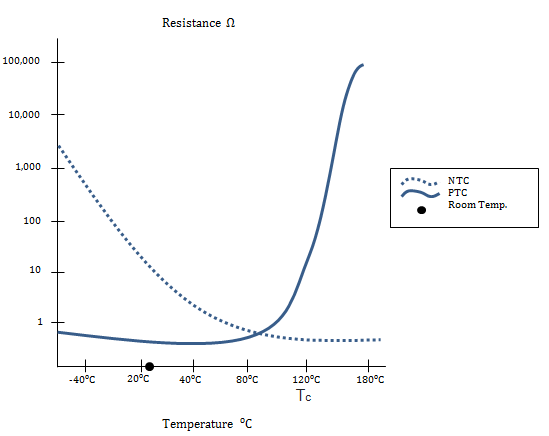 For an NTC thermistor, as temperature increases, resistance decreases. 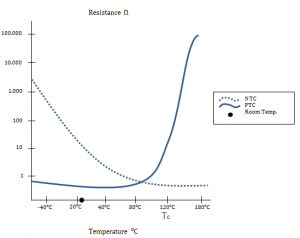 For a PTC thermistor as temperature increases, resistance increases. PTC stands for Positive Temperature Coefficient. The PTC thermistor also provides variable resistance based on temperature. As temperature rises, resistance increases from low to high and blocks the spike in current. This entry was posted in Inrush Current. Bookmark the permalink.